The Players Klub is the place to be if you want high-stakes quality and features at a bargain-basement price. Tucked away in the back room of the internet, The Players Klub is the only $5 per month provider that has a VoD selection up its sleeve. You’ll have the right cards with its low price, rich channel list, VoD section, as well as great quality and a low, low buffering rate. In the IPTV game, The Players Klub is a winning hand so ante up. Henry Ford once said you can buy his Model-T automobile in any color you like as long as it’s black. That seems to sum up all the $5 a month IPTV providers and The Players Klub is no exception. They have one option…5 bucks a month. They have no MAG box option so if that’s your device of choice, you’ll need to run a stbemu and their apk or use another method to get their service. 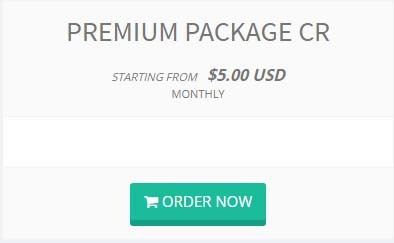 Their package includes a healthy channel list with many 24/7 channels and a good sized VoD list. They don’t offer 3-, 6- or 12-month plans. You are only able to subscribe for one month at a time. However, their re-subscription function is easy to use, just don’t wait too long to pay your invoice. The Players Klub has a well-rounded channel list equal to that of most other IPTV providers. All the premium movie channels from the US and UK are present. There’s a wide selection of sports from the US, UK, and CA. All the typical US and CA cable channels are represented and the usual OTA UK channels are available too. They have over 200 shows in their 24/7 section and over 3000 movies in their VoD section. The VoD section grows as new releases become available. The sizeable VoD selection alone sets them apart from many providers. Some higher priced services have dropped their VoD sections due to copyright concerns. The Players Klub does not have a catch-up section. Some users will find this a deal-breaker while others will be willing to forgo this feature to get the low cost and VoD benefits. TV show catch-up can be accomplished through other sites that archive the shows as they air so this would correct part of the catch-up feature absence. Sports catch-up would still be an issue though. Sometimes the best way to determine the stability of an IPTV provider is to test them with a very slow ISP connection, say 10Mps download. If the provider can maintain a good stream with low or no buffering, it will obviously work well on connections with a much higher rate. The Players Klub gets high marks in this kind of test. You would expect low buffering from a provider costing $15-20 a month. A $5 a month provider is a different thing. Surprisingly, The Players Klub has a strong, solid stream with near zero buffering on any channel you choose. This alone would set them apart from most IPTV providers. For a low-cost provider to maintain this kind of quality is uncommon. Uptime is a measurement for the availability of a channel stream. You know, that irritating black screen that reads the channel is not available. Sometimes this can be corrected by moving up or down in channel selection. Other times, the channel is simply not available. The Players Klub got high marks in uptime with one exception. Infrequently, some of the 24/7 channels were unavailable. Typically, this occurred simultaneously on all 24/7 channels. This would lead one to believe that the stream originator was the culprit, not The Players Klub. Uptime problems only presented themselves on the 24/7 channels; all other channel streams, including the VoD were unaffected. Overall, The Players Klub has an extremely solid stream reliability. In fact, it is much better than many providers regardless of price. This alone makes them a good choice. When you factor in the VoD, they even meet many user’s standards as a primary provider. The Players Klub makes no provision for devices that utilize MAC addresses. They do not offer an addon option for MAC address connections. Therefore, MAG box users and others will not be able to make use of native streaming support via a portal. Android users can either make use of their apk to get their stream. They do have Enigma and Octagon scripts available as well as an m3u file, which allows you to use many common media players out there. Suffice it to say, there are options available to get The Players Klub up and going. Generally speaking, provider/device compatibility is becoming less of an issue. There are so many workarounds these days that just about any device will work with any provider. It may require the user to bone-up on the technology but this is actually a good idea for any IPTV enthusiast. No matter how you receive their stream, The Players Klub is without a doubt one of the best choices you can make as an IPTV provider. Most views won’t have any problems and even new users can find a way to enjoy this great service.